The following Implementation Timeline is a guideline, for a typical implementation. Each practice has its own individual requirements; therefore, it is only a suggested standard, not a guarantee. The timeline noted below comes from eCW’s own Implementation Guide. 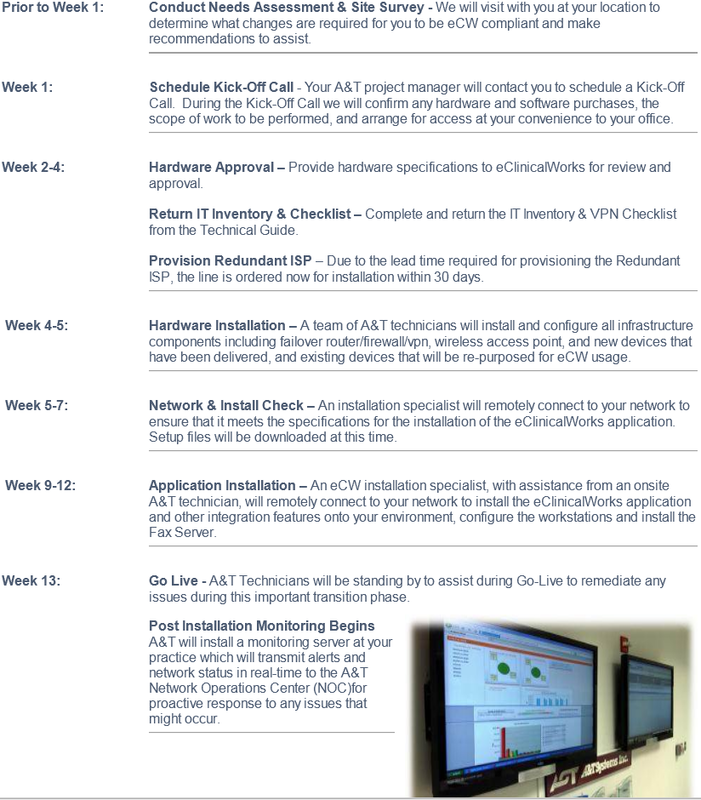 Typically, the Go-Live date is scheduled between 12-16 weeks after the Kick-off Call. This timeline is dependent upon the size and scope of the project.